Malaysia and Singapore both are nearby cities and both are amongst the interest list of thousands of tourists. To make these tourists explore the beauty of the exotic places, several travel agents offer comfortable & luxury travelling options. Buses or coaches being the most popular & preferred travelling medium out of several others, we are here to provide you important information relating the same. For your convenience, here are certain bus operators, whom you may consider as your travel arranger. Delima Express operates bus services in Malacca (Melaka). So, if you have to travel from Singapore to Malacca, from Malacca to Singapore, from Malacca to Kuala Lumpur, from Kuala Lumpur to Malacca, then you can book your seats with them. Click here to know more about routes & fare. 707 Travel Group is a name that is synonymous to excellent service, price, and quality for coach service. Book your tickets with this experienced bus operator for your travel from anywhere between Singapore & Malaysia. Five Stars Express. 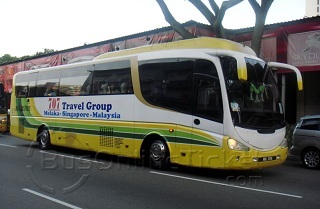 Different bus routes- Kuala Lumpur to Singapore, Penang to KL, Penang to Singapore, Penang to Cameron Highland, Penang to Johor Bahru at short time interval maintains connectivity with ease. 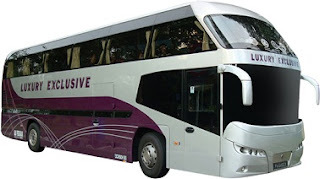 The name luxury defines the luxury bus services that the operators offer. The high-deck coaches with personal entertainment facilities, & comfort seats are perfect for travelling in Malaysia & Singapore. to know about the fare, bus routes, & timings, click here. Operating from Taiping (Simpang), Starmart Express Sdn Bhd provides daily express bus service from Taiping to Kuala Lumpur (KL), Taiping to Singapore, Genting Highland, Kuantan, Butterworth, Kuala Terengganu and many other places. To provide easy travelling in more routes the company has also expanded with Starmart Express Air Asia Liner Pte Ltd, and Starmart Qistna Express Sdn Bhd. Your trip to the wonder cities would be made majestic with the premium services by the bus operators. Get the bus to Cameron Highlands, Kuala Lumpur, Sunway Lagoon, and various other places and conveniently reach to explore the destination of your choice.